The Xsara Picasso cornered a healthy section of the burgeoning MPV market thanks to a roomy cabin, easy-going driving experience and temptingly low prices. 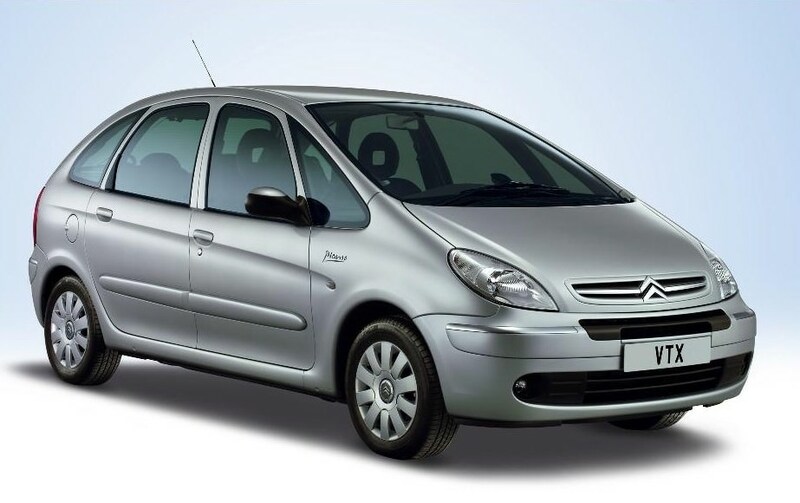 The original Citroen Picasso may have gotten off to a bum start in life (its Xsara Coupe brother was driven by supermodel Claudia Schiffer in adverts; the Picasso’s only celebrity connection is that it was driven by comedian Rob Brydon in the TV comedy Gavin & Stacey), but it started something of a trend. Coming hard on the heels of the original Renault Megane Scenic it soon cornered a healthy section of the burgeoning MPV market thanks to a roomy cabin, easy-going driving experience and temptingly low prices. Calling it Picasso was rather setting up expectations, but the original Xsara MPV is far more ovoid than cubist – it’s almost entirely egg-shaped. That helps with interior space (at 550 litres the Xsara Picasso’s boot is larger than those of most contemporaries) and with visibility – the view out is positively wide-screen and there are relatively few blind spots. The cabin is in and of itself a nice place to be – bright and airy with comfy front seats and three individual rear chairs, which makes it perfect for growing families. The dash is relatively uncluttered (although you’ll not find modern niceties such as satnav or infotainment touch screens). However, Citroen’s quality levels weren’t especially high and it’s not hard to find scratchy, hard surfaces that simply don’t inspire confidence and it’s not unusual to find panels or sections of trim that have come away altogether. You also need to be deeply suspicious of anything with a copper wire coming out of the back – Picassos are practically legendary for suffering electrical gremlins and everything from the electric windows to the stereo is liable to pack up. On the engine front, the basic 1.6 petrol is best avoided as it’s pretty gutless, while the older 2.0-litre HDi diesel is far thirstier and has higher emissions than more modern units. Best engine to go for then is the ubiquitous 1.6-litre diesel in 95hp form. Not fast, but it’s reasonably refined and very economical – an easy 50mpg is on tap and it’s reliable too as long as you keep it serviced and use high-quality replacement oil. Don’t worry if the suspension is noisy – they’re all like that, but check to make sure the wipers, front and rear, are working right as both the motors and the electronic control unit are suspect – and can cost €1,000 to replace. Citroen sold loads of the Xsara Picasso as it was in production for a decade, so be choosy and don’t buy something that’s suffered dog’s abuse. As little as €5,500 will get you a 2008 1.6 HDi diesel, which, if it has a full service history and has been looked after (and you have a tolerant attitude to electrical upsets), should have plenty of years of service left in it. One of the original MPVs, the Xsara Picasso has aged surprisingly well. It’s not the best-built car of all time, but overall quality is better than you’d think and, with prices relatively low at the moment, it’s one of the best value cars around on a Euro-per-interior-volume basis. Safe, too.